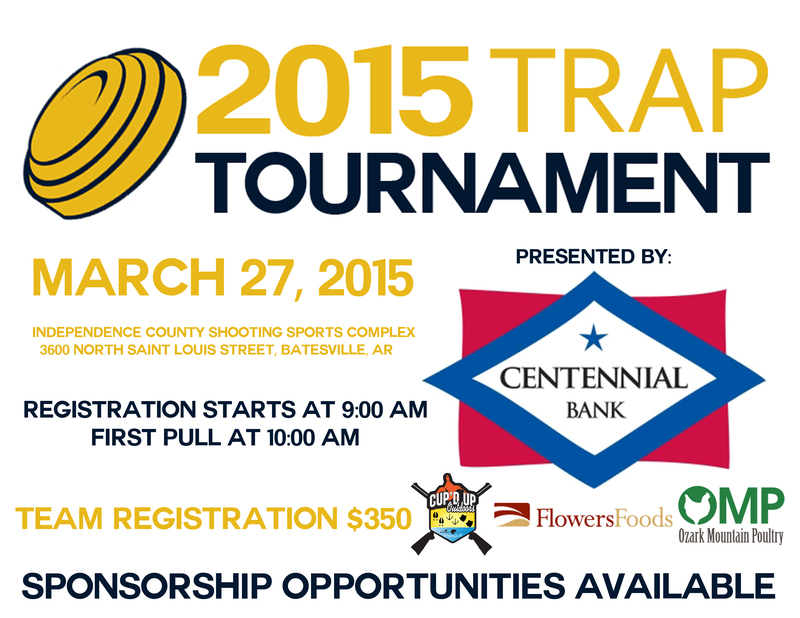 The Batesville Area Chamber of Commerce and presenting sponsor Centennial Bank will host the 4th Annual Chamber Trap Tournament on Mar. 27, 2015 at the Independence County Shooting Sports Complex from 9 a.m. – 4 p.m. Registration will begin at 9 a.m. and the first pull will be at 10 a.m.
Each team of five will shoot 25 targets per round. At the end of the first round, event officials will tally the scores and divide teams into evenly matched flights. Flights will be assigned similar to a golf tournament. Prizes will be awarded to winning teams in each flight. Amateur shooters are encouraged to participate. Practice will be available the day before the tournament. Sponsorship opportunities are available and corporate teams are encouraged to participate. Team registration is $350 for five shooters and includes lunch. Registration forms are available on the Chamber website at www.mybatesville.org and by clicking the link below. For more information about the trap tournament, contact Crystal Johnson at (870) 793-2378 or crystal.johnson@mybatesville.org.